How to clean dirty mattress? How to clean stains of mattress? How to clean pet urine from mattress? How to clean puke off mattress? How to clean blood stain off mattress? There may be a lot more questions in your mind, so feel free to ask in comments. We are going to answer all the above-listed questions in this post. 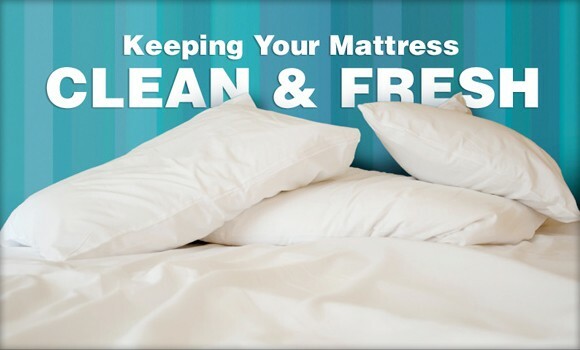 And at the end of the post, you will get to know about some tips for mattress cleaning. First of all, remove your mattress cover and then clean your mattress deeply with a vacuum cleaner. Vacuum cleaning your mattress will help you remove loose particles from it, like dust, pet hair etc. Sweating is common at the mattress and over a long time, it causes the occurrence of bad odour in your mattress. So you might be eager to know how to clean a mattress with baking soda? Its simple, sprinkle a layer of baking soda over your mattress and spread it using a brush so that it can reach the deep layers of the mattress from which odour is coming. Then wait for 10 minutes so that baking soda can make a bond with bad odour causing elements. Vacuum again to pull out the baking soda and all the bad smells. It is always suggested to remove stains immediately. Because if a stain sets in for a long time it is harder to remove. But we all know it is not always possible to spot a fresh stain. Mattress usually gets urine stains, blood stains and other bodily stains. How to Clean a Blood Stain from Mattress? This may be the next question in your mind. To remove dried blood stains you need to arrange hydrogen peroxide (3%) – ¼ cup, 1tbsp dish soap (liquid), 1tbsp table salt and mix them to make a paste. Spread the paste lightly onto the stain, wait till it gets dry and then remove it. If any stain still remains then dab it hydrogen peroxide dipped white rag. How to Clean Urine Stains from Mattress? Take 8oz of hydrogen peroxide and dissolve 3 tbsp of baking soda into it. Then add 1-2 drops of dish soap (liquid). Blot the stain with this solution. (Note: never drench your mattress with the solution). As we mentioned above urine stains are harder to remove. If the stain still remains there then let the area dry make a dry foam of dry laundry detergent powder – 3tbsp and water – 1tbsp. Spread the foam on the stain and wait for half an hour. Use a spoon to scrape the dried paste. Dip a white cloth into hydrogen peroxide and remove paste with it. In the last vacuum that part of the mattress. All above-listed tips will help you cleaning mattress stains. But if you don’t want to do it yourself then you can hire a professional mattress cleaning Adelaide to get it done in the right way. Don’t worry about mattress cleaning cost, our expert technicians make it worth what you spend as they exactly know how to deep clean a mattress. Book a visit or get a quote over a call at 0423 492 940.